We are able to offer many different Extracurricular Activities this year. There may be separate fees for each as noted. All negotiating (on price, on ages, etc.) need to be done with the club manager. Kingfisher offers space for these clubs, but doesn’t control their rules and set up. 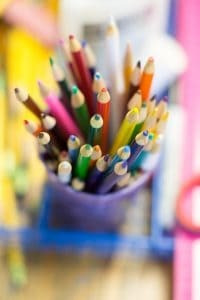 ART CLUB ($25 per quarter) – An Art Club is being organized for once a week for all ages – this will be an after school club, probably running from 3:30 to 4:30 with parents picking up at 4:35. We’ll cover some long projects that couldn’t happen during the school day, have some “art-y” field trips, try some interesting art techniques. After kids sign up, we’ll figure out which day is best. DRAMA ($35 per month) – We are trying to arrange this with Art Station in Stone Mountain, with some practices here and some at their theatre. This will include some theatre games, some simple skits, maybe some playwriting, along with acting skills. GYMNASTICS – ($40 per month.) Available at Atlanta School of Gymnastics for children 4 to 7 years old. Lessons once a week and we drive them over after school and parents pick them up there. LIBRARY BOOKCLUB – There are two of these set up at the Tucker Library with Miss Elizabeth, the children’s librarian. One club is for kindergarten and first graders and the other club is for second, third, and fourth. They meet once a month and a book is assigned to read in the interim. PIANO LESSONS (AFTER SCHOOL, ADDITIONAL FEES APPLY) – We have a piano and are looking at linking up with the Methodist Church next door that offers free lessons. The kids could practice here and take lessons there. SWIMMING ($45) – During the course of the year, we’ll have swimming lessons at the Wade Walker YMCA in Stone Mountain for 6 and unders for six weeks. This is a Kingfisher tradition—no one leaves this school without learning to dog paddle! TENNIS (OPTIONAL, $12 per month per kid. 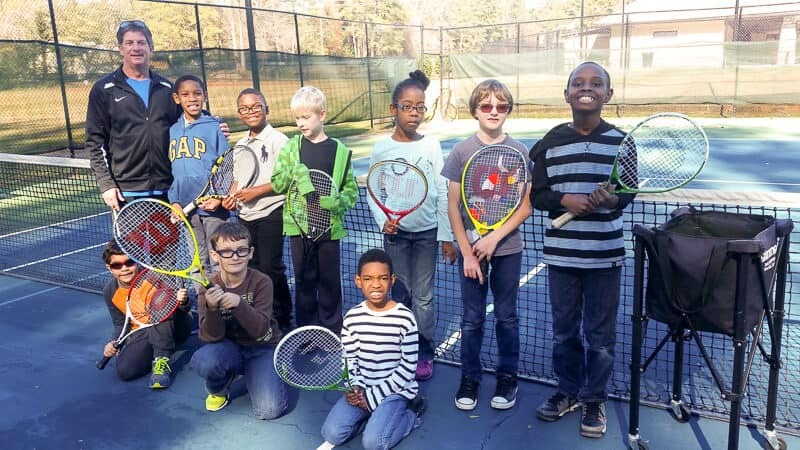 Remainder cost subsidized by the school) – Students 2nd grade and over have the opportunity to take tennis lessons once a week over at the Milam Courts in Clarkston. ATLA Coach Kyle begins with a careful, organized approach to tennis, along with the life lessons about teamwork and competition. This is during the school day so we transport. Kids should wear tennis shoes, bring a racquet if they have one, or we can supply it. YOGA ($3/class) – with Alexis Muir on Fridays from 3:00 to 3:30. This will be a peaceful end to the week, with stretching and simple, fun exercises for the kids. Kingfisher will provide the mats and the kids wear loose, comfortable clothing. HOME-SCHOOLERS – We extend a hand to all home-schooler families in Tucker. If you would like your child to take Science or Social Studies from Kingfisher, we can work out an afternoon schedule that would suit your schedule. We love to expand our reach into other groups of kids and often do field trips and invite other home-schooler groups to come with us. We think it’s important for our kids to expand their social horizons, as well. Also, we have many extracurriculars that we would love to have some other kids involved with – particularly the Drama Class, which are putting on a full-fledged play this year. Please call 678-615-2313 or email to ask the details. We are always open for new ideas for our enrichment classes. Please let us know what you’d like to see us include.